Why Episode Alert should be your number one choice? Episode Alert has proven time and time again over the years to be the greatest choice when companies need there Medicare billing done. What we offer is second to none. Whether you are a physicians office billing Medicare, needed access to DDE, running patient verifications or a Medicare DME provider who needs to run thousands of Medicare eligibilities per day. We have all your needs covered. We offer no contracts (unless requested) or set up fees. We pride our selves on excellent customer service. If there is something you would like customized all you need to do is let our customer services reps know and we will let you know what can be done for you. Simplicity is one of our mantras here at Episode Alert. We aim to make all of our services very user-friendly and intuitive. 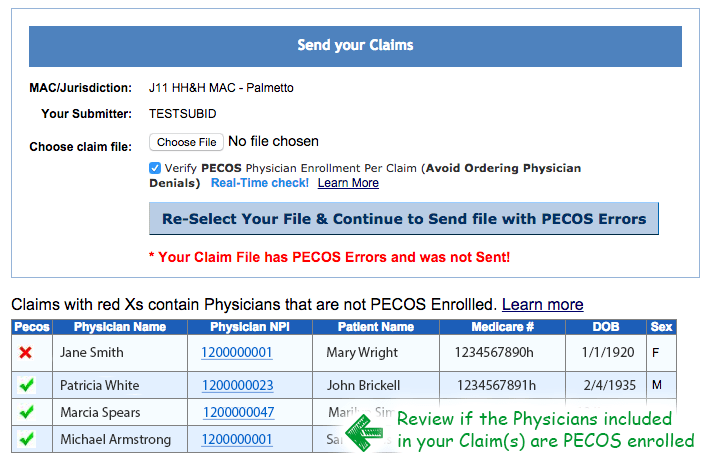 Can Episode Alert submit claims to all 50 states? 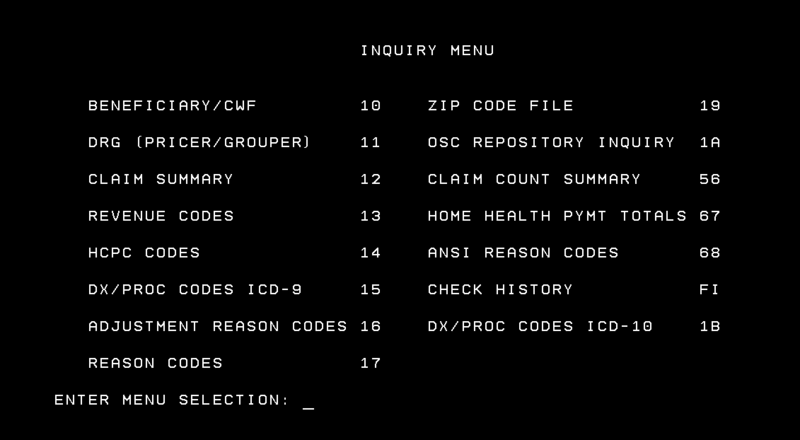 Yes, Episode Alert is approved by Medicare to submit claims for all MACs (Palmetto, NGS, CGS, First Coast, Noridian, Novitas, etc.) in all 50 states. How long does it take to start submitting Claims? It takes 1-2 business days to setup. After that you'll start receiving your Medicare remits & reports and will be able to submit claims. 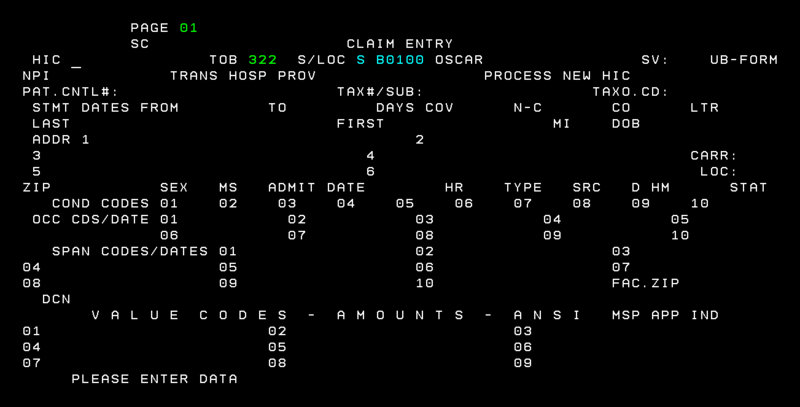 Can I use any billing software? 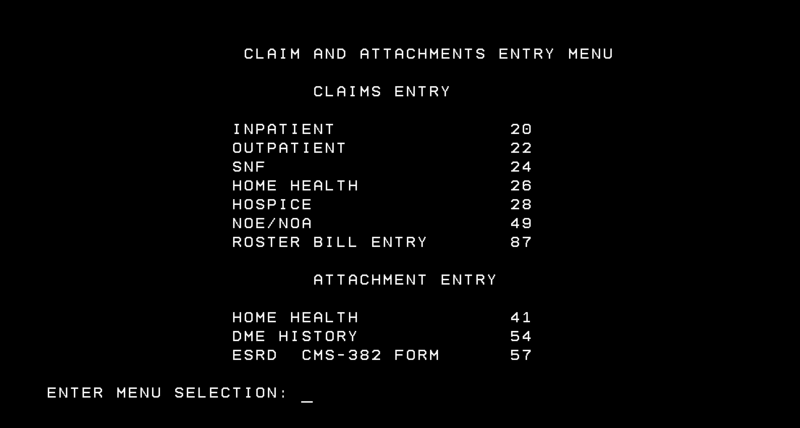 Yes, you can use any billing software to create your claim files, including Medicares free software PCACE Pro32. Then just upload us to our website. What do I need to submit claims? 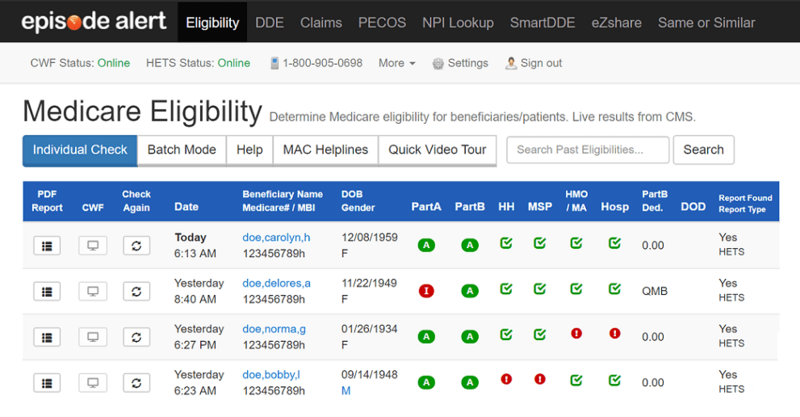 Yes, batch Medicare eligibilities are available with all plans that include Medicare Eligibility. It's easy as 1,2,3.